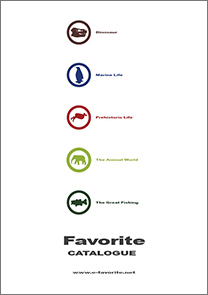 General catalogue with all of our series: dinosaurs, marine animals, fishing, prehistoric animals and living animals. Please check our various items. There are cases when product's specification, price, design etc changes without notice.